Portable and easy to install and operate. 25 -50 kg bags filling. Valve and open mouth bag filling. 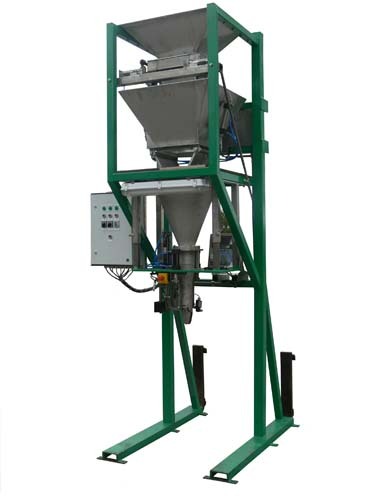 This machine is specially designed to fill small bags from 25 till 50 kg. 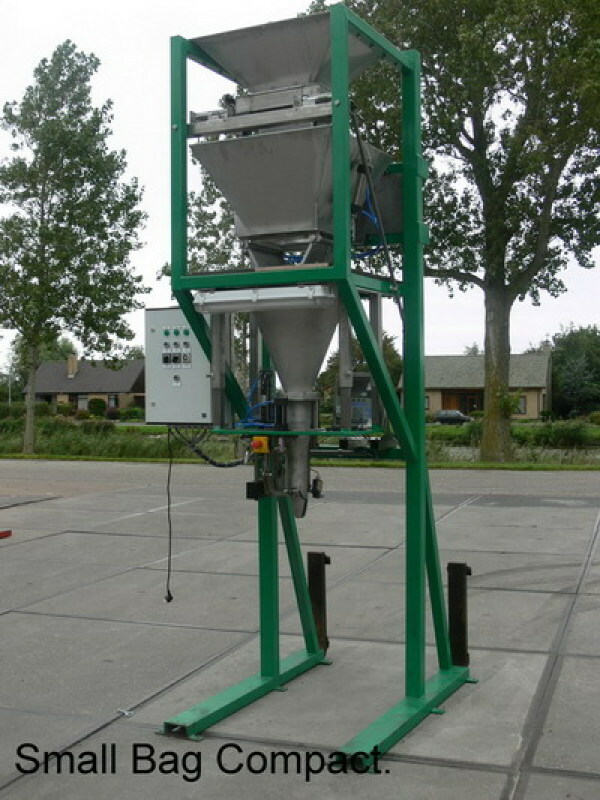 The frame is portable and can be placed under any storage hopper. 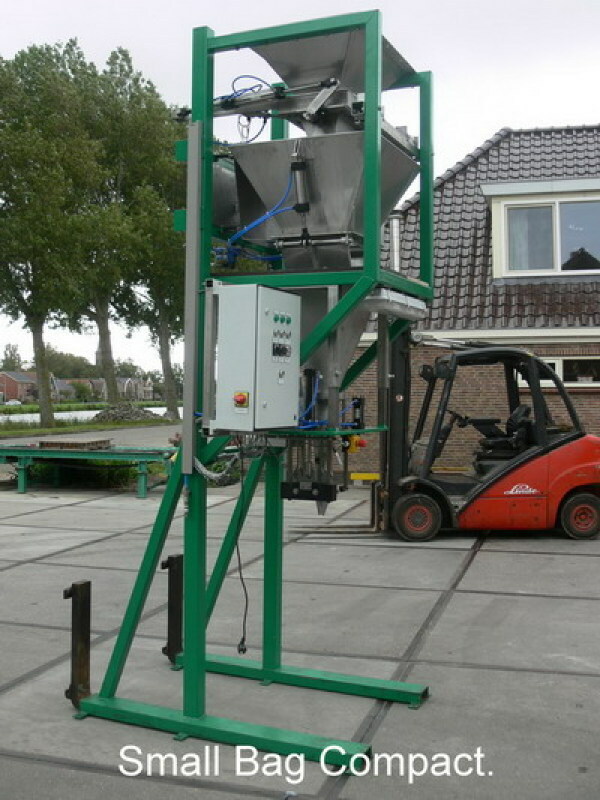 The machine has a stainless steel scale with a capacity of 100 liter. This scale is placed under the fill hopper on 3 load cells who are connected to a digital display. 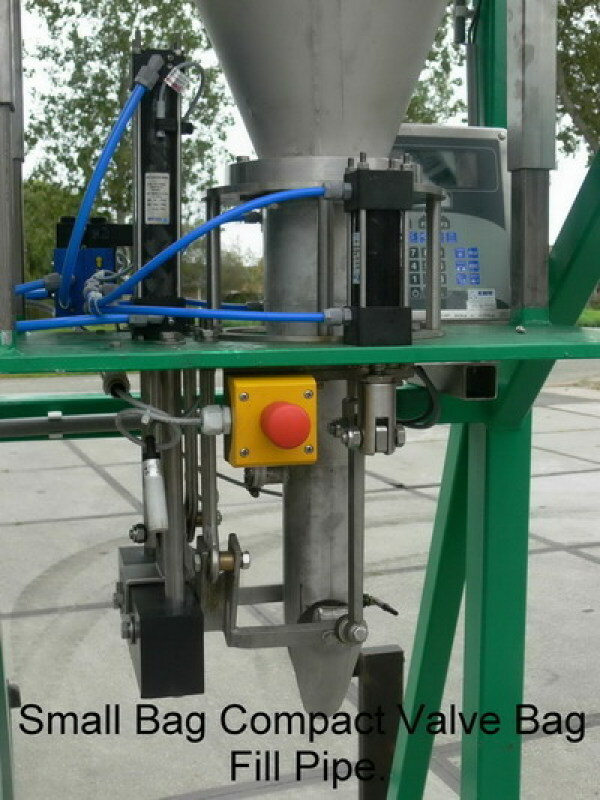 The machine can operate with an open mouth or valve filling pipe. 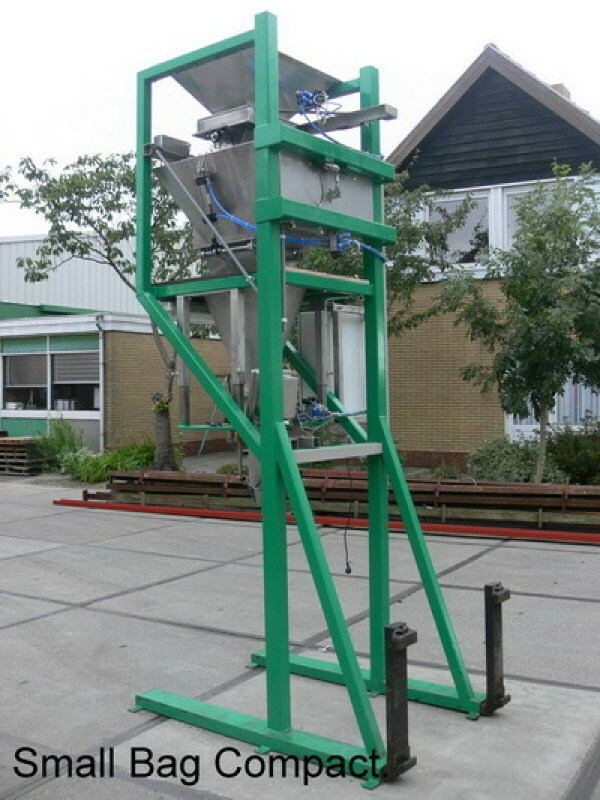 For both bags type a clamp system holds the bag around the mouth of the filling pipe during filling. The complete unit works fully automatic controlled by the weighing indicator and electrical panel. Manual operation is also possible.